For countless years the Bavarian and Austrian peasantry cavorted to a triple-time dance called the landler. These peasant rhythms passed through the refining hands of Mozart, Beethoven and Schubert and were eventually to inspire Johann Strauss. The love dance of modern civilization, the waltz was at first considered lascivious, but gained respectability when Tsar Alexander II danced it in public. It culminated in the immortal waltzes of the Strausses, father and son, and from Vienna conquered the world. Such serious musicians as Brahms and Wagner paid tribute to the genius of the younger Strauss, The Waltz King'. Many of Strauss's waltzes were composed during the 1860's, before he turned his attention to operetta. 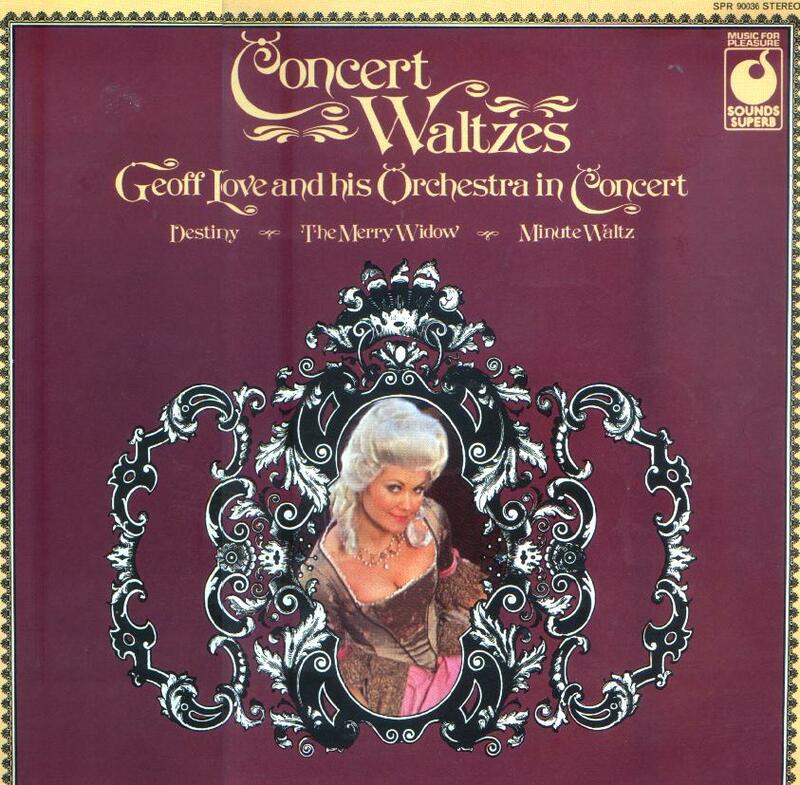 Among the collection of waltzes presented here is the delectable Tales from the Vienna Woods, which belongs to that period. The remainder of the collection includes waltzes by such masters as Chopin, Tchaikovsky, Waldteufel and Lehar. Tchaikovsky's ballet scores are studded with beguiling waltz themes, the waltz from The Sleeping Beauty being among, the most familiar. The Alsatian composer Emile Waldteufel, regarded as a kind of French Strauss, wrote hundreds of waltzes, one of the most appealing being The Skaters' a favourite with Toscanini. The Hungarian born Franz Lehar mainly devoted himself to composing operettas, the most familiar being The Merry Widow, whose principal waltz theme is known the world over. Chopin's waltzes number nineteen in all, but it is probably number six, Op 64 No. 1 called the Minute Waltz, that has achieved the most popularity. Although Armstrong Gibbs was quite a prolific composer, his name will remind most people of one work - Dusk, which has always enjoyed frequent performances and is in the best tradition of English light music. Weber's Invitation to the Dance originally started life as a piano piece, and it was Berlioz who saw the possibilities of the work and transcribed it for orchestra. Sydney Baynes' Destiny has enjoyed a long life and is admired as much today as ever, which goes to prove that the public still loves a good tune.